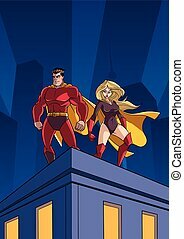 Superhero couple 4. 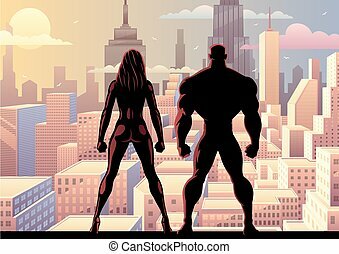 Square banner of male and female superheroes. 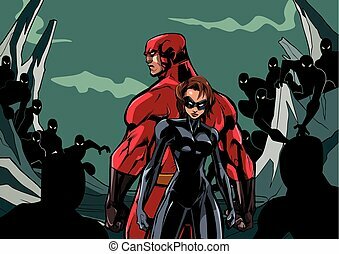 no transparency and gradients used. 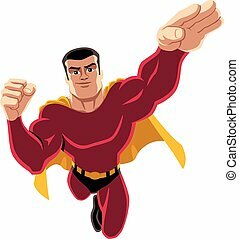 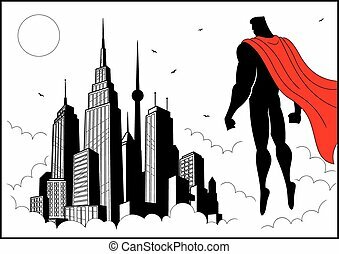 Flying superhero over white background. 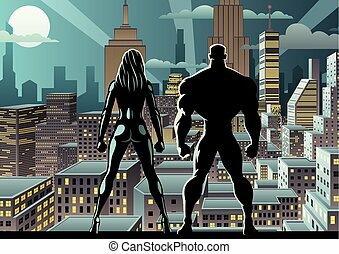 Superhero watching over city. 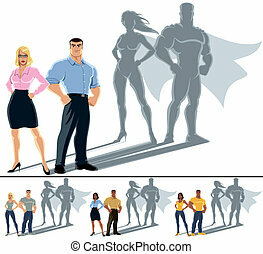 No transparency and gradients used. 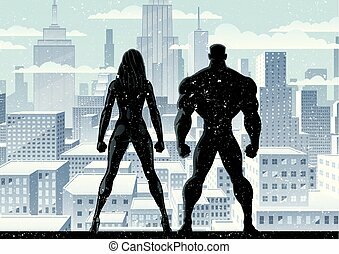 A4 proportions. 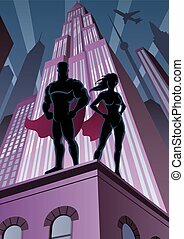 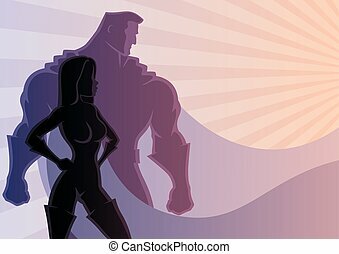 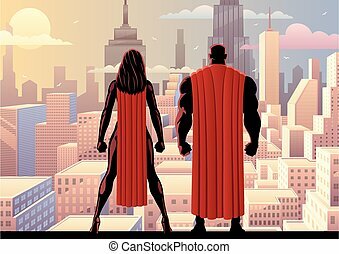 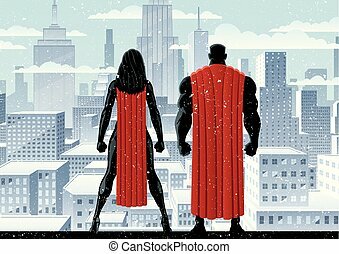 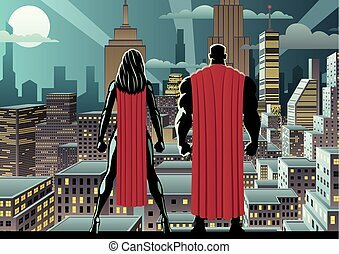 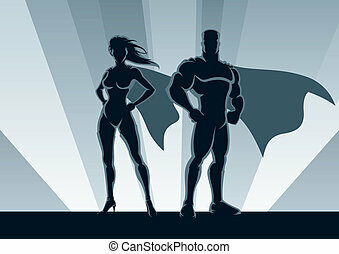 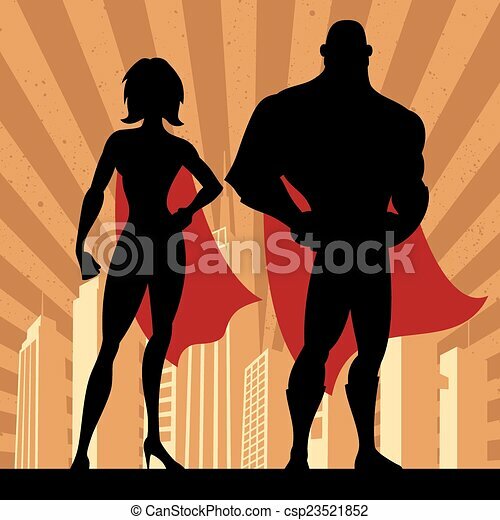 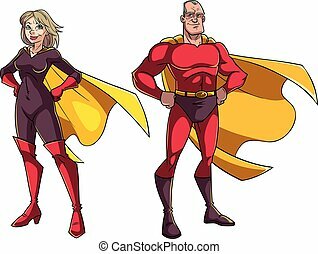 Cartoon illustration of senior superhero couple on white background.